A fun and engaging way for students to practice number recognition and identification that requires little teacher prep! Teachers just need to print the chart and show the powerpoint or give task cards to students. Students practice their numbers, all while creating a fun picture box-by-box. 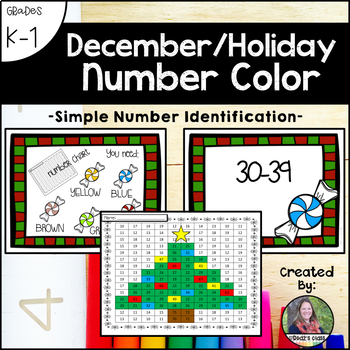 Included is a chart with a fun border as well as a simple PowerPoint presentation to have students create a picture of a holiday tree. 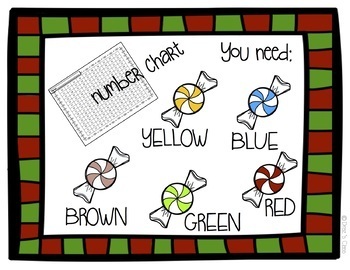 Each color is done by finding numbers within a range (ie: numbers 20-29 are colored green) so students need to recognize numbers/place value.